Uniqueness of this attraction Continuing with the vibe of Penang Street Art, this museum offers plenty of unique artworks dedicated to the spirit of Penang. There’s 19th century wall paintings, handmade jetty waterfront diorama model, cool interactive 3D trick art, interactive augmented reality kiosk installations and you can even enjoy coffee time with Penang’s Chief Minister Lim Guan Eng! Located near Penang Pier, visitors can have a glimpse of Penang’s yesteryears with artworks that represent the local way of life. 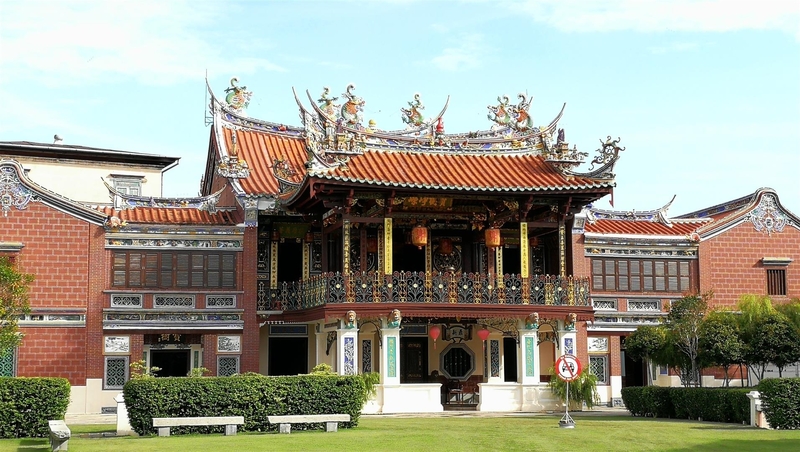 Housed in a 2-storey building, the first floor houses the 19th century Penang wall paintings and miniature dioramas. On the second floor, you can find all the 3D interactive trick arts. Perfect way to spend time with the kids for some picture-taking fun. The Made in Penang Interactive Museum is also housed in the historic Behn Meyer Building at Weld Quay believed to be built around 1891. The 20 foot long handmade jetty waterfront miniature was made by Penang born artist, Mr Khoo Chooi Hooi who illustrates the culturally rich way of life of Penangites then and now. Other things to do here? If you are feeling peckish, there’s a small kopitiam selling drinks, snacks, cendol and other treats next to the ticket booth of the museum. Try the Penang Laksa before you start the tour for a truly Penang style experience. What to bring home? Forget your inhibitions and just have fun being silly with your poses! There are no souvenir shops in the museum itself, so best get your camera ready and snap away. The optical illusions that the artworks here provide a good profile photo for your social media. Getting around Made In Penang Interactive Museum is within walking distance of the Weld Quay Ferry & Bus Terminal. Take the CAT free shuttle bus and stop at the Bus Terminal. Cross Weld Quay by Weld Quay Pedestrian Bridge and continue until you reach the Behn Meyer Building to your left. The Museum is best visited on normal days as it can get very crowded during weekend and school holidays. Which means, you have to queue up for photos with the amazing artworks if you want a perfect one. If you are travelling alone, maybe a trip to this museum is best avoided as there are usually big crowds getting rowdy for picture poses. It would be more fun if you’re travelling with friends or better yet, bring your children here because of its good-natured fun without breaking your wallet. Make sure you have extra storage space in your gadgets; camera or smartphones, as you will be taking lots and lots of photos. To avoid confusion, be certain that you are going to the right place (MIPIM). Penang has at least 3 trick art museums so better get your locations right. The other trick art museums are Penang 3D Trick Art Museum, Penang Time Tunnel Museum, and Upside Down Museum. Featuring works by local Penangite artists, the Made in Penang Interactive Museum makes the perfect photo opportunity location with its quirky and amusing art! There are no reviews on Made In Penang Interactive Museum. If you’ve been here before, write a review to share your experience.